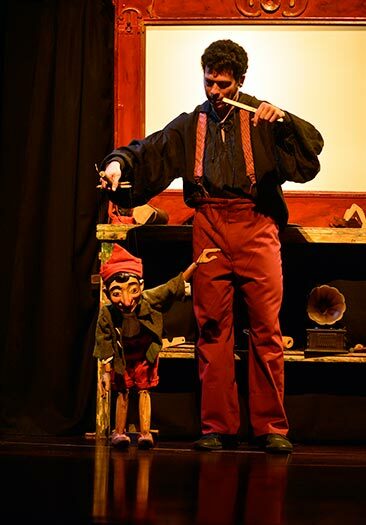 La Puntual is directed by Eugenio and Nestor Navarro, with the aim that everyone who comes to see a puppet show will want to come back again another day. Great care goes into the selection of the programme, the shows and the companies that perform them. We try to adapt to the audience´s tastes but also try to surprise them with new techniques and performing styles. We invite known and prestigious companies locally, from the rest of Spain and abroad. 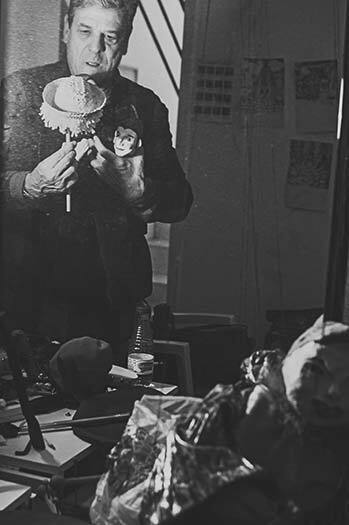 Eugenio Navarro Llabrés (Las Palmas de Gran Canaria, 1953) puppeteer since the foundation of La Fanfarra in Barcelona in 1976. La Fanfarra opened Teatre Malic (1984-2003) in the centre of Barcelona. Began his solo career in 1995 with the first part of the “Rinaldo Trilogy” with the glove puppet show Trinoceria, followed by the shadow and 3D show Caramante (1997) and finally Zespion (1999) with marionettes. 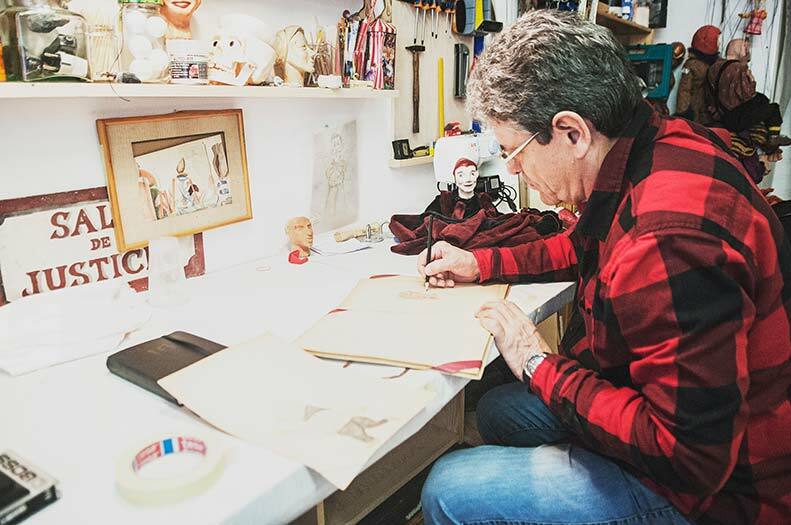 In 2001, he produces MELODAMA, puppet theatre for 2 solo puppeteers and without words and free adaptation of Henri Rousseau’s melodrama “The Vengeance of the Russian Orphan Girl” (1899). 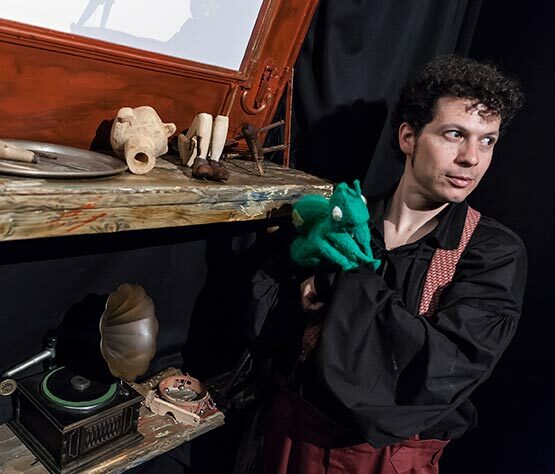 Commissioned by the Greenwich & Docklands Festival of London, produces and performs “RUTINAS”, a slapstick puppet show which can be performed almost anywhere. 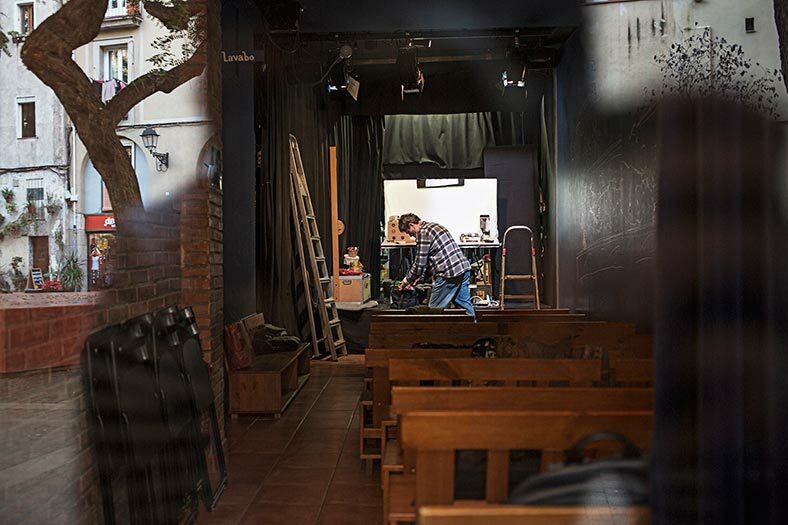 Opened La Puntual, the only puppet theatre in Barcelona in 2005, where he performs all year round adding new shows to his repertoire, as well as inviting guest companies. Has received several prizes, both locally and internationally and has performed all over the world. 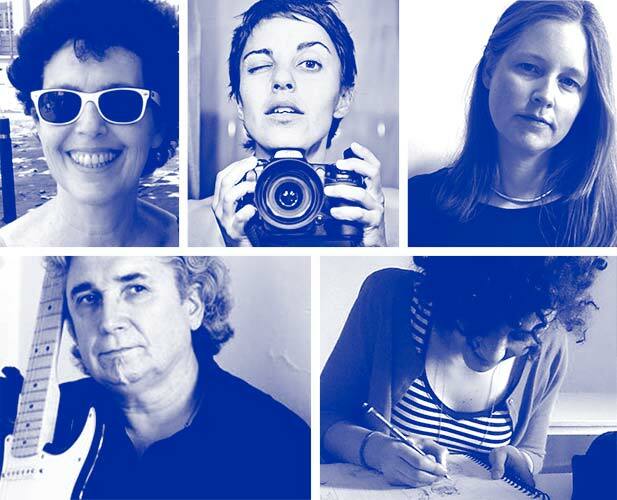 Néstor Navarro Salvany (Barcelona, 1982) born and brought up amongst artists, puppets, theatres and long tours by van. After a long stay in Mexico, where he collaborated with Monterrey University´s Theatre Company. On his return to Barcelona, he helps with the opening of La Puntual in 2005 taking on the responsibilities of the box office manager. His debut as a puppeteer follows in 2008, manipulating and giving his voice to Malic, main character of La Fanfarra during the 1980s and 90s of last century. In 2013 he turns professional producing his first show, “To Babel on a Scooter” a table top show with social content. “Pinocchio’s Shadow” would follow in 2015, and “Pipa, the wonder Puppet” in 2016. He is now a regular performer in festivals and venues all over. 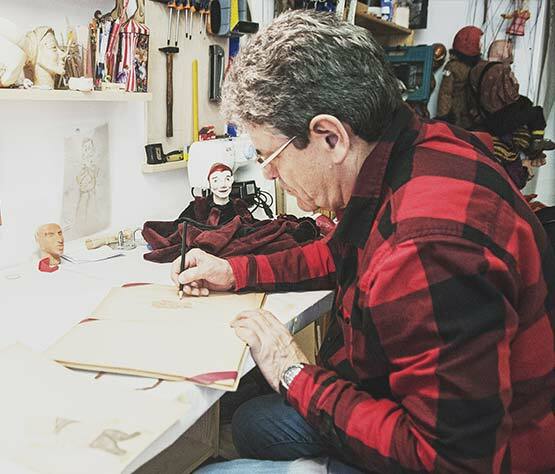 La Puntual could not work without the collaboration of many talented professionals from different fields; stage manager, cleaning staff, electrical and technical technicians, costume design, illustrator, puppet makers, accountants and others. 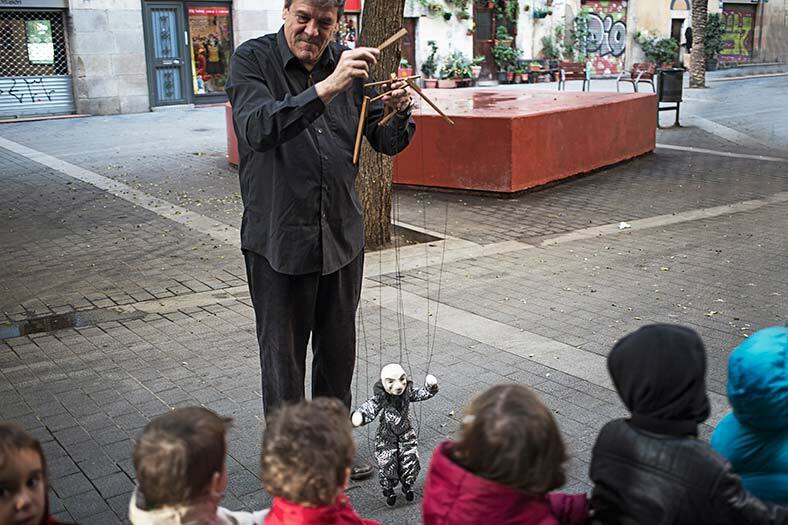 We all make possible the warm welcome to our audience when they come to enjoy a puppet show.